For the crumb topping, heat a large skillet over medium heat. Add butter to melt, then add the crushed crackers. Cook and stir about 3 minutes, or until light brown. Remove crumbs to a plate to cool. In the same skillet, prepare the cheese sauce. Turn the heat down to low, then melt the 2 tablespoons butter. Whisk in the flour until smooth. Cook, whisking constantly, for 1 minute. Slowly whisk in the half and half. Turn heat back up to medium and whisk fairly constantly until mixture is thickened and bubbly hot. Add shredded cheese, onion powder, salt, and pepper. Stir until cheese is melted throughout. 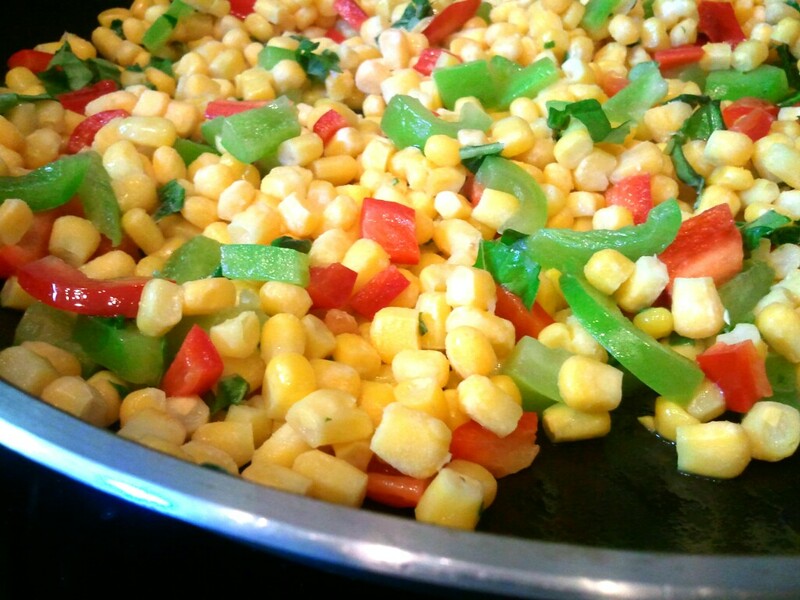 Add all the corn to the cheese sauce, stirring to combine. Cook for about 5 minutes, stirring a few times, to warm thoroughly. 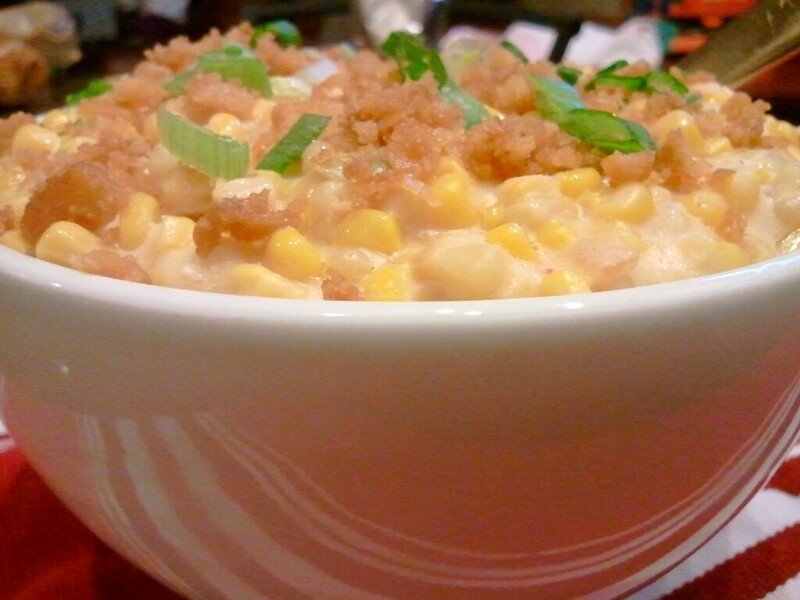 Stir half of the crumb topping into the cheesy corn and then transfer to a serving bowl. Sprinkle the remaining half of the crumb topping on top of the corn, followed by the sliced scallions.